There’s a race in Europe called the Paris Roubaix. It is known for being brutal due to a combination of potentially treacherous Spring weather conditions, the distance (~150 miles) and the cobblestones. 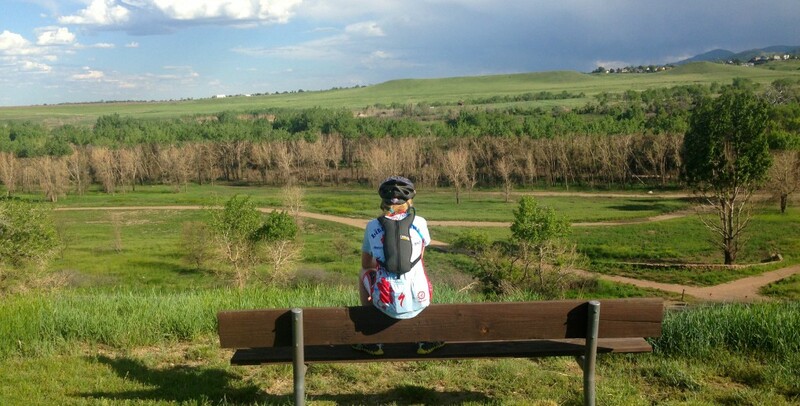 Colorado has its own “mini” Paris Roubaix. It’s called the Boulder Roubaix. I couldn’t find a lot of history about the Colorado race, but what I do know is that it is held every three years in the Spring in Boulder County, Colorado. When I first joined the cycling team, I remember hearing about the race in 2012 and had not seen it on the race schedule again until this year. For that reason alone, it was a must do! It had been recommended that I swap out the skinny 23 mm tires on my road bike to a slightly wider tire of 25mm. This was to provide just a little more traction on the gravel sections of the race. The race flyer also suggested doing a bolt check before the race…that’s something I had never seen mentioned on a race flyer before. So I checked the bolts on my bike and ensured everything was tight and ready for bumps. Because Boulder County, Colorado does not have any old cobblestone roads like in Europe, we would be spending roughly half of the 18 mile course on paved roads and the other half on gravel roads. On a pre-ride of the race course in the days before the race, a team mate and I found the gravel sections to be surprisingly smooth. On race day Saturday, April 11, I lined up at the start line with three other team mates under blue skies and sunshine. Our race category would be taking two laps for a total race of 38 miles. Our strategy was pretty simple: not to get knocked over on the bumpy sections and to stick together. We intentionally dropped to the back of the peloton after the start because we didn’t want to be going through the first few corners with the group. We didn’t want to risk being crashed out in the first few corners of the race, which were on a bumpy gravel road. As we neared the first paved section of the race, I could see the peloton ahead of us and knew that it would be difficult if not impossible to catch them once they hit the pavement and went even faster. Our strategy of sticking together also slowed down our progress because with varying fitness levels, you can only go as fast as your slowest rider. We ended up dropping one of our own teammates near the end of the first lap. There were a few gals here and there who jumped on to work with us rather than finish the race solo. For the most part, everyone took their turn at the front of the pace line (pulling). Those who didn’t were dropped or shamed into doing their fair share. For those of you reading who are unfamiliar with pace lining, the rider at the front of the pace line does most of the work while those following are able to rest and refresh their legs. The pace line goes faster than an individual rider because as a rider fatigues, she pulls off the front and tucks into the back of the pace line. The next person in front of the line has fresh legs, sort of. Occasionally, a pace line ends up with someone who wants to rest their legs and not take pulls. As our group approached mile 33, I told my team mate it was time for us to break away. We were approaching a prolonged climb and I thought we would be successful here in dropping the rest of the group. Unfortunately, she didn’t hear me, so I soon found myself in a solo break away. I kept looking back expecting that she would bridge the gap, but I didn’t see that happening. So I was on my own for the last five miles. I crossed the finish line at 2:03. The race leaders were about ten minutes faster. There were many lessons learned from this race. One of the most important is to not underestimate your competition. We had anticipated the peloton would blow apart much more than it did. In reality, the top ten finishers must have worked together and ended the race with a sprint finish ~ or so it seems based on the results. The race course itself was well marked with lots of mile markers and volunteers at every turn. It was a very well run race and seemed very logistically organized… kudos to the promoter! As for the gravel roads, I can’t say they’re my cup-o-tea. Then again, I have three years to forget them before the race rolls around again. 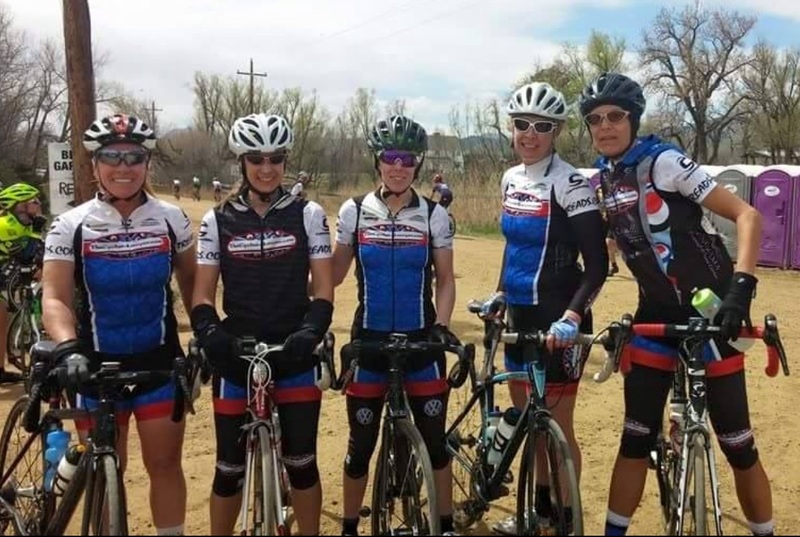 This entry was posted in Race Review and tagged bike racing, bikes, boulder roubaix, gravel race, race review, women cycling, women racing. Bookmark the permalink.